We at Quality 1st Basements believe that our customers are our best source of advertising! We invite you to participate in our customer referral program. For every referral you provide that chooses Quality 1st Basements as their foundation, crawl space, basement finishing, or basement repair contractor, we will reward you with $50! It's our way of saying "thanks" for your endorsement! Simply complete the form below or have your friend or family member mention your name when they call into the office to schedule their free estimate. Thank you again for being a part of the Quality 1st Basements family! 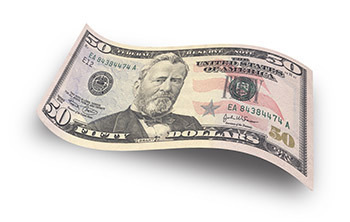 We will send you $50 when your friend has a system installed.